Did you watch the premier of “Dallas” on TNT? Old “Dallas” fans will be happy with the characters and new fans will enjoy the beautiful new characters. Read my unofficial review below. She is Dallas was selected to participate in TNT’s Dallas Roundup Network. We were not compensated for writing this post, but have received a screener of the first two episodes. 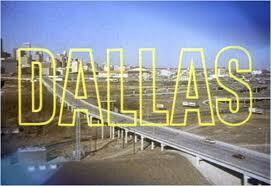 Previous Post: « Two Thumbs Up for New “Dallas”!